At W.R. Smith, Inc. we know that our existence is based upon the effectiveness in which we enhance the level of indoor comfort control for our Paramount area customers! For this reason we offer the latest air conditioning, heating and indoor air quality products featuring the York® product line for their high efficiency and performance ratings. W.R. Smith, Inc. technicians are experienced and ready for any HVAC challenge that presents itself: routine maintenance, complicated repairs or turnkey installation and replacement jobs are just a walk in the park for us. When you receive installation and replacement services from us, you can rest easy knowing that your air conditioning and heating system was installed by the experts for optimal efficiency and reliability. 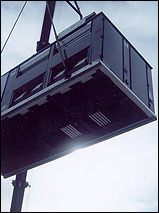 To follow up our installation and replacement work, we offer stellar support with our preventative maintenance plans. 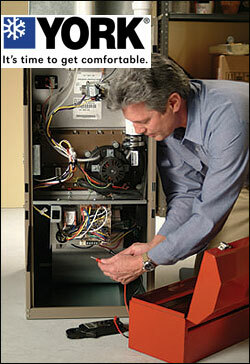 We are a contractor who will keep your HVAC system tuned so you enjoy efficient comfort through any season. We appreciate your interest in quality Paramount HVAC products and services. For questions please do not hesitate to call us today at (562) 408-6400 . Why York® for your Paramount HVAC installation and replacement needs? York® indoor comfort control products are built to be reliable and efficient, holding some of the highest efficiency ratings in the industry. We recommend them to our customers who need installation and replacement work done as we know the York® product line with keep them comfortable while lowering their utility bills. Additionally, their products incorporate innovative features like ClimaTrak and QuietDrive, making their furnaces and air conditioners some of the most adaptive and quiet units you can purchase for your home. The complete satisfaction of our customers is our primary goal, and with York® heating and cooling products we sleep easy at night knowing that our Paramount area customers have the very best keeping them comfortable. It just doesn't get much more important than that.